Pathophysiology of polyunsaturated fatty acids (PUFAs) is associated with aberrant lipid and oxygen metabolism. In particular, under oxidative stress, PUFAs are prone to autocatalytic degradation via peroxidation, leading to formation of reactive aldehydes with numerous potentially harmful effects. However, the pathological and compensatory mechanisms induced by lipid peroxidation are very complex and not sufficiently understood. In our study, we have used yeast capable of endogenous PUFA synthesis in order to understand the effects triggered by PUFA accumulation on cellular physiology of a eukaryotic organism. The mechanisms induced by PUFA accumulation in S. cerevisiae expressing Hevea brasiliensis Δ12-fatty acid desaturase include down-regulation of components of electron transport chain in mitochondria as well as up-regulation of pentose-phosphate pathway and fatty acid β-oxidation at the transcriptional level. Interestingly, while no changes were observed at the transcriptional level, activities of two important enzymatic antioxidants, catalase and glutathione-S-transferase, were altered in response to PUFA accumulation. 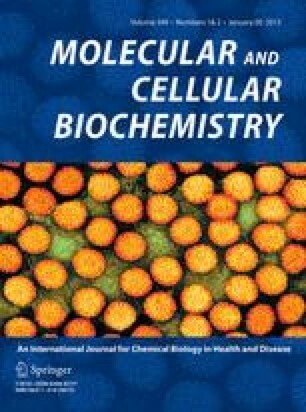 Increased intracellular glutathione levels further suggest an endogenous oxidative stress and activation of antioxidative defense mechanisms under conditions of PUFA accumulation. Finally, our data suggest that PUFA in cell membrane causes metabolic changes which in turn lead to adaptation to endogenous oxidative stress. The online version of this article (doi: 10.1007/s11010-014-2229-6) contains supplementary material, which is available to authorized users. All authors declare no potential conflict of interest.